***LOCAL NEW CAR STORE TRADE, MOON-ROOF!!! 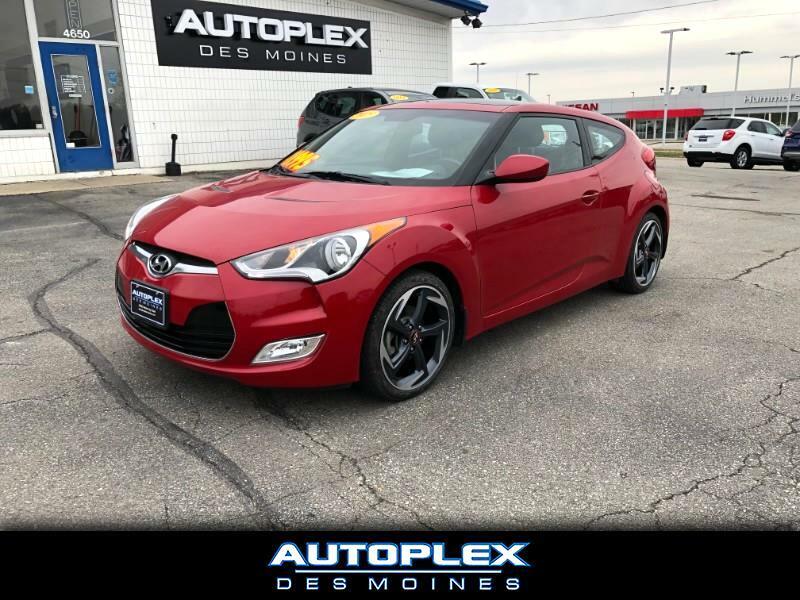 *** We are pleased to offer this sharp 2015 Hyundai Veloster complete with the fuel efficient 1.6 Liter Inline 4 cylinder engine with EPA estimated 26 MPG city and 35 MPG highway. This Veloster is loaded with Power windows, Power locks, Power mirrors, AM/FM/CD player with Aux and USB, Bluetooth, Moon-roof, Dimension premium audio, Proximity key with push button start, Brand new tires on Alloys and MORE! Stop in today for a test drive!!! We offer convenient and competitive Bank and Credit Union financing for most credit types to save you both time and money. Come experience the Autoplex Des Moines Difference Today!